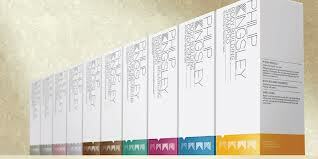 Home › Blog › Now stocking Philip Kingsley products…. Now stocking Philip Kingsley products…. Philip Kingsley is one of the world’s leading trichologist with over 50 year’s experience. He has clinics around the world and has consulted some of the most influential people in the world, from Hollywood stars to politicians. His clients have included Audrey Hepburn, Sir Lawrence Olivier, and Kate Winslett. Whilst trichology is generally understood to mean dealing with hair problems, Philip Kingsley’s products are aimed at making hair beautiful by keeping it fit and healthy. We take care of our bodies by exercising regularly and eating well and now Philip Kingsley encourages you to think about your hair in the same way. It’s not only about sourcing the right products for your hair but training your tresses to optimal fitness. This holistic approach encompasses a balance of nutrition, hydration, well-being, regime and general fitness into your daily routine. Through a combination of these changes, plus the use of the award winning range of products, you will achieve and maintain beautiful healthy hair. Philip Kingsley suggests you consider the following on a daily basis for ultimate hair fitness. Pop into the clinic today to get your PK Products today… In Stock Now!